Intel has added three new microprocessors for embedded and highly-integrated applications into its lineup. The new CPUs are based on the Skylake microarchitecture and feature high-performance integrated graphics cores with an added eDRAM cache called Crystal Well. The new products should offer high performance in memory bandwidth applications due to Skylake’s updated 2nd generation cache architecture. The chips that Intel has added to its price list are the Core i7-6785R, the Core i5-6685R, and the Core i5-6585R. 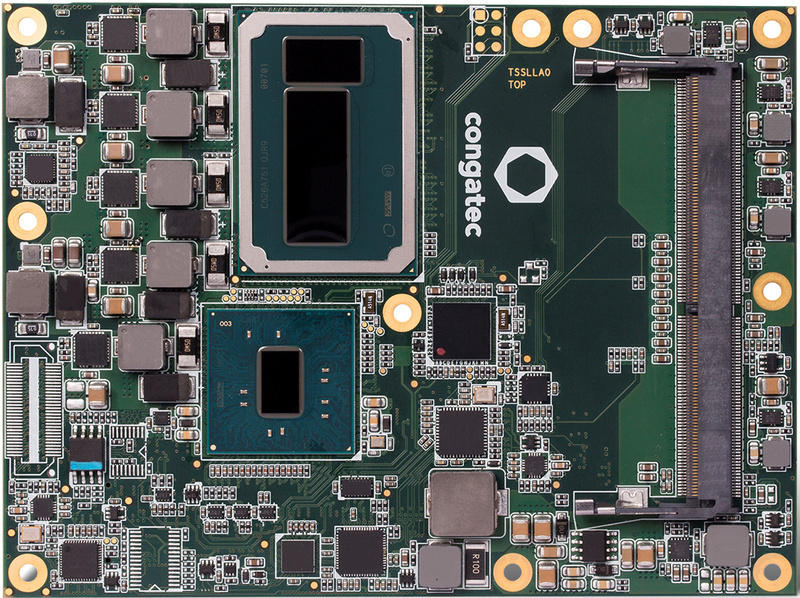 The new processors are designed to fit in all-in-one PCs, small form-factor and other types of highly-integrated PCs that can satisfy the 65W TDP over the mobile Crystal Well variants that run at 45W. The new desktop chips from Intel are based on the Skylake-H silicon in its most advanced configuration: with four general-purpose cores as well as the GT4e integrated graphics. Not all the specifications of the processors are known at this point, but we are talking about quad-core processors with Generation 9 Iris Pro graphics and 72 execution units (as well as 128 MB of eDRAM), a dual-channel DDR4-2133 memory controller, a PCI Express 3.0 interface and three display outputs. The power consumption of Intel’s new embedded products for desktops does not exceed 65 W, which is typical for R-series offerings, and offer a potential upgrade path by OEMs for any equivalent systems that used an equivalent Broadwell-based R-series processor. Intel unveiled its Skylake-H silicon in its full glory earlier this year when it released its mobile Xeon E3 v5 processors with the Iris Pro Graphics P580. Several makers of industrial computer modules (such as Congatec) already use chips like the Intel Xeon E3-1515M v5 for their products, which is why we know what they look like. The die of the Skylake-H processor looks rather long and the lion’s portion of its transistor budget was spent on the mammoth iGPU. The extra on package die is the eDRAM, and the silicon underneath the CPU is the chipset (it's the Y/U series CPUs that have integrated chipsets). The new parts feature higher clock rates compared to the Broadwell processors, although slightly lower than their K series counterparts. 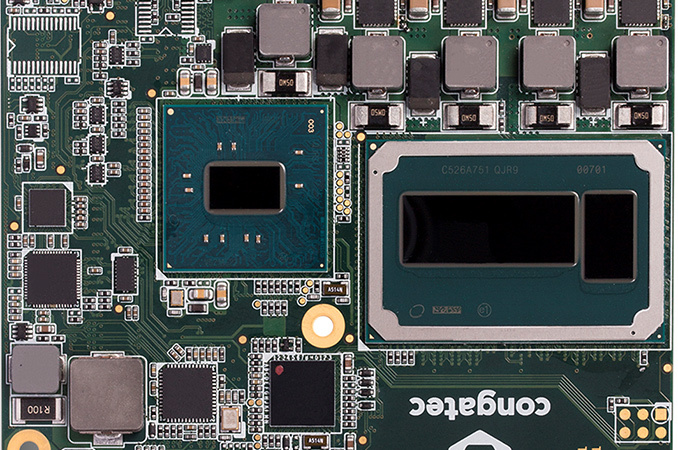 The processors have a number of important architectural improvements which will affect the performance of these CPUs in real-world applications. 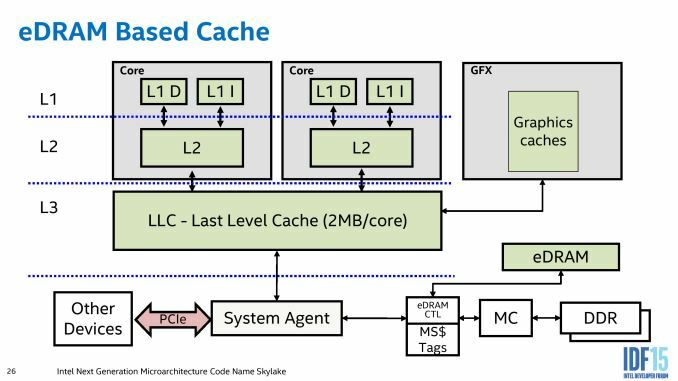 It is interesting to note that Intel retained the full L3 cache size in its new R-series CPUs: in the Broadwell models part of the L3 was used for eDRAM tags, reducing their capacity by 2 MB, but the new Skylake parts are now in line with their i7 and i5 naming due to the way the eDRAM is implemented. This means that the i7-6785R has 8 MB of L3, similar to the i7-6700K, and the i5-6685R/6585R has 6 MB of L3, similar to the i5-6600K. Intel’s Skylake processors feature an upgraded microarchitecture with better parallelism and improved IPC, which means better performance almost across-the-board. An important capability of Skylake is its Speed Shift technology, which can quickly increase frequency for a short amount of time in a bid to rapidly perform an operation (~1-3 milliseconds rather than 30-100 without Speed Shift), thus providing better user experience and ultimately saving power. Intel’s Speed Shift requires support by the operating system and right now Microsoft’s Windows 10 can take advantage of the technology in a bid to improve its responsiveness. Another important aspect of Intel’s Skylake CPUs with high-end iGPUs is their eDRAM, which means the processors also gain the code name 'Crystal Well'. 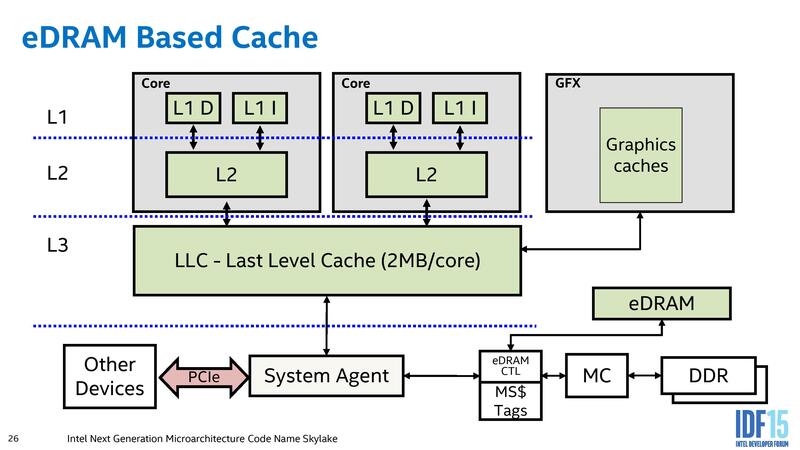 The eDRAM for Skylake is different to that found in previous Crystal Well implementations: in the last generation, the eDRAM acted as a victim cache to the L3 cache, meaning that evicted cache lines from L3 would add up in the eDRAM and be quick for re-reading without having to access main memory. The downside to this is that data could not end up in eDRAM without being used first, giving initial data read latencies the same performance as previous processors. Ultimately this is still good for graphics and gaming, where textures are re-read from memory frequently. The new arrangement for the eDRAM in these Skylake processors has placed the eDRAM in a different part of the chain, between the System Agent and the DDR memory. This means that the eDRAM acts as a DRAM buffer, with 50 GBps bandwidth in each direction to the LLC, but is also accessible for early reads/writes by any device that needs memory access through the system agent (i.e. anything through PCIe). Previously this was not possible, but now it means that Skylake's eDRAM implementation should offer a speedup in many more scenarios that before. The final noteworthy improvement of the Skylake processors compared to previous-generation offerings is revamped graphics core as well as increased amount of execution units. Based on our findings last year, real-world performance of Intel's high-end Iris Pro 6200 graphics core (Broadwell’s top iGPU) is higher than that of entry-level discrete graphics cards. Meanwhile, the highest-performing GT4e graphics core of Intel Skylake contains 72 EUs, up from 48 in the case of the Broadwell. Compute performance of Intel's contemporary top-of-the-range iGPU (Iris Pro 580) is around 1.1 TFLOPS depending on its frequency, so, this one should be tangibly faster than its predecessor. Last, but not least, Skylake’s iGPU has a revamped multimedia engine, which supports hardware decoding and encoding of UHD videos using HEVC or VP9 codecs. Intel’s new Core i7-6785R, Core i5-6685R, and Core i5-6585R are already available at a tray price of $370, $288 and $255 respectively. Partners of the chipmaker will likely use the new processors to build their new systems in the coming months. Image Sources: Congatec, Intel's IDF presentations.